“With exceptions. The exceptions are: Families, immediate family members, some sporting events that you’re going to — that if you’re just going to be using them at the sporting events. So we’re looking and talking to people with expertise. I’m working with the NRA, to be honest with you, and talking to them,” he said. “If Sen. Manchin supports putting private transfers between law-abiding citizens under the thumb of the Obama-Holder justice department, we will vigorously oppose those efforts,” said NRA spokesman Andrew Arulanandam. Universal background checks will require universal registration “to make it work”. It’s the camel’s nose under the tent, kick it! Those are words of a liar, right there. The good gun shows would offer a two tiered admission: one for $5, and one for $15 or $20. The latter does an automatic background check that is good for the weekend. If you want to buy a firearm at the gun show, you show your ID and your background check pass card. There’s no reason we can’t do this, and it would probably do really well with the swing voters. It’s the sort of compromise I can live with. Jeff, requiring a background check for private transfers ALSO requires universal gun registration to make it work. Don’t be fooled. If every gun transfer requires a background check, then that means they need a way to verify a check took place. That verification can only be accomplished by looking in the UNIVERSAL GUN REGISTRY to see who the gun is registered to. Get it? Don’t get tricked into thinking that ANYTHING they propose is anything but an incremental destruction of our rights. You assume they’re trying to actually solve a problem or prevent deaths. False. They’re trying to register, and then ban or confiscate all guns in the hands of private citizens. They’re just using whatever acceptable justification they can. That’s why they always push this stuff when kids die. It’s not that they love dancing in the blood of children (I assume? ), it’s that they know that emotion suspends reason. Don’t suspend your reason. They are not your friends, their intentions are not honorable. Slight correction — they push this stuff when WHITE KIDS die. It takes just a couple of weeks for Chicago’s ghettos to rack up the body count of Newtown, but the left doesn’t even want you to notice it, let alone do anything about it. I think if 20 black kids were killed at once in a similar massacre we’d see about as big a response. That just hasn’t happened yet (thank goodness), but I have little doubt of the proposition. I’m not disagreeing with you about registration leading to confiscation (or an easy way to get there) or about the ultimate goals of the anti-gun crowd, but I am wondering how a background check means registration. I think that’s Jeff question, too. To me I always divorced the background check and a “registry”. We all know how Canada’s registry worked. It didn’t, which is why they got rid of it for long guns at least. So I don’t think any of us want to go down the path of a registry. In PA we have checks which are supposedly not a registry, but logically it may be since it’s a recorded verification process. Is this your reasoning as to why a “universal background check” leads to the same thing on the national scale? Didn’t the 1986 FOPA dissolve the federal gun/ammo registry? I was mentioning to a friend tonight how it would be awesome to bring back the “kitchen table FFL” as a bargaining chip, something we used to have and something that may help us if we push for it while also appeasing the “close the loophole” crowd. I guess Jeff’s point is that we can be creative with our proposals without really sacrificing what we stand for. Note that if it comes to something registry versus non-registry then count me on the non-registry side. I think you got the jist of what I was getting at. Your example of PA’s registry (that isn’t a registry) is apt. Private transfers of pistols in PA need to go through a dealer (with a background check), with a few exceptions for family etc. And when they find someone with a handgun, what’s the first thing they do? Run the gun against their registry (that isn’t a registry). How do they know if the gun is legally theirs? Check it against the registry (that isn’t a registry). Imagine that on a national scale. If it’ll be illegal to transfer a gun without doing a background check, then they are absolutely, positively going to have a way to verify that a background check was performed. And it’ll be tied to each gun transfer. The word for that is “registry”. Without a universal gun registry, we’d have nothing but the honor system to show that there was a background check performed. That’s not going to happen. It might not start out as a complete registry, but it’ll sure end up that way. Their game plan to civilian disarmament is over a long timeline if that’s what it’ll take. Which is why we shouldn’t volunteer to make it easier for them by handing them a registry, or even a barebones registry that they have to expand in the future because it’s “common sense” and “for the children” or whatever. Make no mistake, universal background checks = universal gun registry. Remember, the 2nd Amendment might be needed in 50, 100 years by our kids and grandkids to fight a tyrannical government – or an invading army for that matter. Why are we going to do them any favors by giving them a map of what guns are owned, and by whom? The 2nd isn’t about hunting. It’s about defending ourselves from the very people trying to get us to list the guns we have for them. Gotcha. Yes, it would be tough to have a universal background check without a method of auditing if the check took place. And that means a bunch of databases and record keeping. I can see how you are linking one to the other. I’m convinced that a universal background check is not a valid option then in that case. If there’s one thing we’ve seen is that there is much fluidity in the US with respect to record keeping laws, reporting requirements, and regulations on FFLs in the last 100 years. We haven’t seen the end of it and probably never will. Something as innocent sounding as a “universal background check” may push a registry sooner rather than later, especially if something gets inserted via executive order related to the needs of “health care” records. Without a universal gun registry, we’d have nothing but the honor system to show that there was a background check performed. That’s not going to happen. It might not start out as a complete registry, but it’ll sure end up that way. You’re talking logic about something that at the national level is almost entirely being driven by emotion. I agree with your point about the obviously problems of an honor system, but each step would have to get through the political system and I’m quite unsure about the probability of the latter, which I’ll note is already outlawed. Eliminating the federal prohibition on a registry would take as many as one (1) lines of text in any new bill. Gun owners fought to get that prohibition in there, so we should be fighting putting it in there now through a universal background check scheme as well. Universal background checks = universal gun registry. To believe otherwise is naive and dangerous. IMHO. See New York’s ludicrous law. When you buy ammunition, they get your name, address, occupation(! ), caliber, amount — and a unique serial number assigned to the sale. Effectively a registry, even if it’s not tracking what you’ve used. I suspect that will be the next thing — so as to improve their records, of course. Explain how this law will prevent criminals from getting firearms? Correct answer: It does nothing to prevent criminal transfers of stolen firearms. If the law is useless, then it should be opposed as an infringement on the Bill of Rights. It has NOTHING to do with criminals, and EVERYTHING to do with RESTRICTING law-abiding gun owners. There are already laws against criminals buying guns. You know how many are prosecuted? A few dozen a year, sometimes less. In fact, those prosecutions are down under Obama. Clearly that’s not their priority. Did he just say you can’t leave your gun in your friend’s safe or let him borrow one without a background check? But they will allow you to swap at a “sporting event?” So when I borrow a shotgun to go hunting, we have to do a transfer? I thought this was about background checks, not registration. And it’s not about registration. It’s about confiscation, because that’s what comes after registration, like winter follows summer. So does this statement debunk this rumor being pushed by Kurt Hoffman? Everyone I’ve talked to at NRA indicates they have no intention of caving on private sales and transfers. A lot of people make the mistake of approaching NRA as if it were some monolithic organization that’s of a single mind. It’s not really. It’s like any other civic organization or workplace, and in NRA’s case it’s both. There are people who are great, with a high level of dedication, and very competent, and there are people who fall short of that. Jeff sez, “Politically, I could live with instant background checks required at gun shows…”You’re not paying attention Jeff. It’s not about gun shows, but “putting private transfers between law-abiding citizens under the thumb of the Obama-Holder justice department”! Ignoring everything else, this concept is utter poison in the current political environment. We’re not inclined to trust the Federal government in anybody’s hands, but in Obama and Holder’s? I don’t think the NRA can afford to do this, and I think many vaguely vulnerable Congresscritters who think cover it gives them on this will be worth much will be spending more time with their families after their next election. Look folks, I realize that a small minority of very powerful people would like nothing better than to confiscate our guns. It’s not going to happen. Period. It would be really nice if we could at least discuss some ideas of doing checks that are divorced from the purchasing process. The gun shows I’ve been to are great, but generally I was across state lines so buying was a huge hassle. Political reality is not going to bring us back to 1933 where we can buy and sell any gun we want to and from whomever we want. So why not deal-sure, we’ll say there must be a background check for gun shows (which does not mean all private transfers). That check is good for the whole weekend (or week) and as many transfers as one likes. It will not appease the DiFis of the world, but something like that would appeal to a lot of folks in the middle. If I were a politician, I wouldn’t go into a fight offering this, but I’d keep it in mind. I’m just a guy on the internets, so I figure it’s an idea worth discussing. Jeff, you say we should make a deal. Ok, suppose we DO agree to universal background checks (and the universal gun registration that comes with them). What do we get in return? A deal works both ways. The other side thinks that a deal is them saying “I’m going to eat all of your cake” and then only eating half of it. So, what do you realistically think we should get in return for universal background checks (and universal gun registration)? Mike, I think your universal registration is accurate in theory; the problem comes with the process for accessing the NICS system. As the holder of a GA Weapons License, I am exempt from the NICS requirements when purchasing a firearm. I still have to fill out the 4473 but the FFL does not have to put me through the NICS system. Instead, in the space on the 4473 where the FFL records the NICS transaction #, he records my GWL #. There is, to my knowledge, no reporting of the actual firearm particulars to NICS, only a decription of the buyer … weapon information is all recorded on the 4473 and is irrelevant as to whether or not the buyer in qualified. So for private sales to use the NICS system, there must be some sort of document (4473 or 4473P, maybe) to record the NICS transaction #. Here is where the government potentially gets into the registration business. FFL’s currently do not have to send 4473’s to the government unless they are leaving the FFL business (and yes, I know the ATF violates this regularly). In the case of a firearms trace, the firearm is traced to the FFL and the first purchaser, where, if the firearm doesn’t go into an FFL’s system again, the trail goes cold. Under the unversal background check, as I understand it, after the first legal purchaser, all purchasers after that must pass a NICS check to purchase from an individual, allowing the governemtn to trace an unending line of purchases. If you are contacted by the ATF to make sure you still own your BabyKiller2k assault weapon, you just pull out your copy of the 4473P and say, ‘Yeah, I sold that to a Joe Schmuckatelli last year and here’s the NICS confirmation. Now, if there are only two copies of the relevant form (one for you and one for the purchaser) there’s no opportunity for universal registration unless the government requires the seller to forward another copy of the transaction details to the ATF (which is the registration that we all fear). As always, if anyone knows more than this about how private sales will work, I’m all ears. In the system you describe, the result of not having that imaginary 4473P is that you’d have no way of proving you did a background check, aside from the honor system. Agreeing to such a scheme also gives the feds one more way of sending innocent people to prison, if they use the system you describe. But you’re also assuming that the people who want to paint you and me and every other gun owner as potential school shooters will also trust us enough to have a background check system that isn’t kept in an electronic database and accessed real-time. Think about that for a moment. But even if by some fluke of the universe, they DO only want a system like you propose, it lays the framework for it to be expanded – especially when the next school shooting happens. “If the background check system was just more robust, this tragedy could have been prevented” and so on. I don’t get why so many gun owners are trying to bend over backwards to find ways to help the other side screw us. Their goal is NOT to have meaningful background checks, just like it’s not to prevent another school shooting. Their goal is to chip away at the 2nd Amendment. Their time horizon is long enough that if all they can get is universal background checks (and universal gun registration), then they’ll take it. When the next school shooting happens, they’ll just demand something else. Get it out of your head that anything they’re doing is for any other purpose than to end gun ownership as we currently know it. And “compromise” is a two-way street. What have they offered in exchange for ANY of their restrictions? They said “We want to eat all of your cake” but you’re hoping they’ll compromise and only eat half of it. Remember the guy who wants to drag NRA execs and members behind his pickup? How do we negotiate with that guy? Let him drag us behind a hybrid? Only drag us for a half mile instead of a full mile? Limit the speed to 25 instead of his desired 50? No compromise. They are claiming to want to solve a problem, yet the “solutions” they offer have nothing to do with that problem. They have everything to do with reducing the liberties of the law-abiding, to giving honest people the choice of being defenseless or being criminals. You know what’s an “idea worth discussing”? That we demand national concealed carry reciprocity and the end of “gun-free” zones. The surest way to decrease the likelihood of mass shootings is to make it more likely there’s someone other than the lunatic there with a weapon. See my comment above; I just don’t see this as politically realistic in the current political environment. I.e. “moderate” and more conservative Congresscritters would get slagged in their next elections if they voted for it, and we owe it to them to let them know that. You can still buy and sell privately. If you go to a gun show, you can buy and sell privately, but will exchange proof that you have passed a background check (one way is by having one section of the show just for firearm transfers, and only allow people who pass an instant check). No registration. I guarantee if we on the pro-gun side don’t ask this question amongst ourselves, the politicians probably not ask us first before they offer it up as a “compromise”, so we’d better get to a proper understanding of this issue. I was actually asked about something similar to this (lost/stolen reporting requirement) from a state senator yesterday and I offered a good enough answer, but on the face it sounds like a proposal that may come back to haunt us if we don’t have a good answer for them. My answer was that there is a potential for abuse from communities/counties that count this as a black mark due to PA’s lack of enforcement of preemption laws. That’s not the whole reason why it may be bad, but the stories I hear of guys being denied LTCF in Philadelphia County because of reporting a stolen gun are pretty crazy. It’s not the politicians’ plan. They will have the “universal checks” use the existing system — hey, it’s already in place, right?! Problem is, only FFLs are allowed to use it — by law. So you want to make a private sale, you need to go to an FFL and get him to do it. That means filling out the 4473, which goes into his records and must be maintained forever. So, unlike now, where once the gun leaves the shop it can be sold without paperwork, there’s now a paper trail establishing legal ownership every step of the way. And what will that accomplish? Nothing legitimate. Criminals will still buy with no paperwork, or just steal a gun, or maybe get one from the BATFE. Canada’s $1-2 billion registration program solved ZERO crimes. If you want to only sell to people with carry permits, more power to you! But that’s not what the politicians want. They want confiscation — but they’re willing to settle for getting the information necessary to carry it off later, if that’s all they can get now. Also, it’s helpful if you reply directly beneath the comment you’re responding to. The victim disarmament crowd has done their work this way for a hundred years now. Bite off one little bit of the cake at a time, will telling us that this little infringement is “reasonable”. 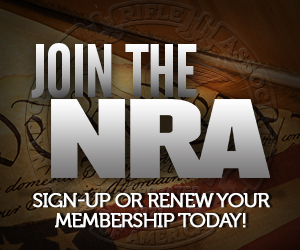 After they get gunshow transfers all registered, they will use it as an excuse to outlaw unregistered private sales.